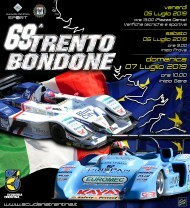 Simone Faggioli kept up with the expectations: after astonishing practices, the driver from Florence won the 60th Trento – Bondone, his second personal success, fixing a new absolute record time: 9’32”65. This record time would have been even better, given different road conditions – the downpour of yesterday washed out the road. In addition to this, the European and Italian “King of Hill climb” took the most from his position in order to win the race. 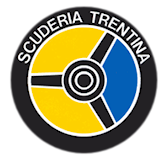 The record time set by the French driver Lionel Regal is thus “retired”, with great satisfaction of Italian fans, who followed with remarkable interest this edition of the Trento – Bondone on the Internet, through the Scuderia Trentina and Cronoscalate.it websites. An impressive crowd assisted to the race along all the 17.3 km of the road, conferring a magical and heartbreaking atmosphere to the event which was another confirmation for the renewed passion for this kind of events, becoming more and more popular in Italy. Faggioli was the favourite of the eve…but this road can give no assurance until the end of the race – neither the result nor the record could have been predicted, even if the astonishing times of yesterday gave clear indications in this way. A glorious day for Michele Camarlinghi from Pisa (Osella PA 30 Zytek), fixing his personal record time (9’58”69) the only driver with Faggioli able to get under 10 minutes into this race. 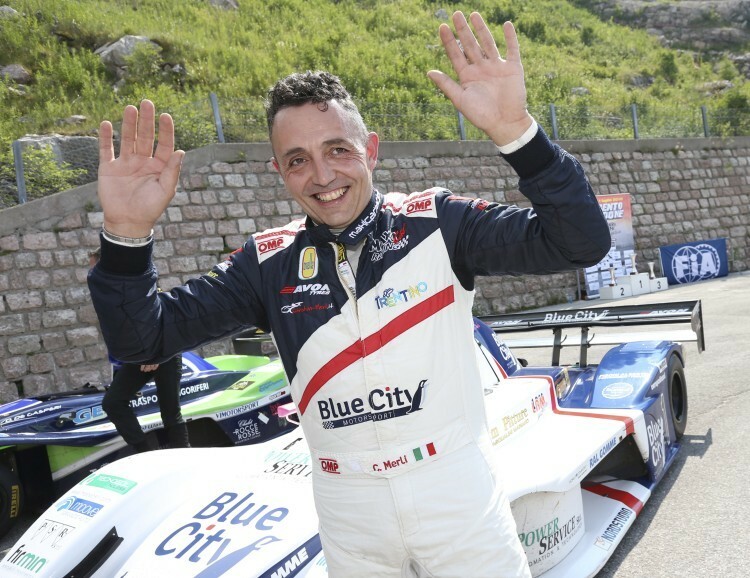 In spite of his problems of wear and tear of the tyres, which forced him to reduce the speed in the final, he confirmed his presence as one of the best Italian prospects for Hill climb. On the other hand, the second position in the general ranking speaks for itself. In third position, Franco Cinelli from Pistoia (Lola T99/50 Zytek), winner in Vason in 2001 and 2004, who for just 8 second cents did not break the barrier of 10 seconds net, a real “nemesis” to him-. Fourth absolute time for Francesco Leogrande, with the little Formula Gloria C810P, just 1600 cc, able to beat lots of more powerful racing cars, thanks to its agility. A smash hit by Thomas Pichler from Ravina, “road-addicted” driving a “simple” 1600-cc vehicle (Formula Master), who ended the race in just 10’14”72, the absolute fifth time – first among “home drivers” from Trentino. Piero Nappi (Osella FA 30), Friedrich Paller (Lola Cosworth) from Alto Adige and Fausto Bormolini (Reynard K02) ended with satisfactory, even if not exciting, times. 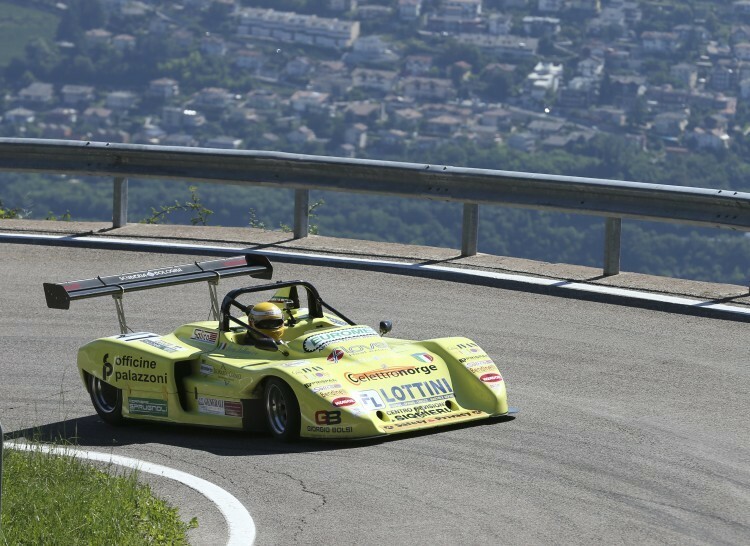 A good satisfaction for Matteo Moratelli from Trentino, first time driving a Lola B99 Zytek (the same card used by Cinelli), which arrived in Vason with a great 10’25”28, ninth absolute time. Dealing with Gt, an unexpected delusion for Antonio Forato (Lamborghini Gallardo), who left the road just a few bends far from the finish line (position 37) after a climb perpetually to the limit. This kind of vehicles, more suitable for track than for Hillclimb, it has become more and more complex to reach Vason undamaged, especially if the road loses its Saturday rubberising. Thus, Leonardo Isolani (Ferrari 575 Gtc) had the possibility to re-open the general ranking with its victory, with a 10’58”84 time. The E1 group recorded the victory of Roberto Di Giuseppe (Alfa Romeo 155 Gta) with a good time, even if he did not break any record (10’42”58), perhaps due to the high temperature too. Game over for both of his main competitors, i.e. Eugenio Molinaro (Alfa Romeo 155 Gta), who did not even start after the lining-up, and Fulvio Giuliani (Lancia Delta Evo), who hit a stone after Candriai, damaging the right front part and reaching the finishing line with low ratio gearing. The second position was hence conquered by Luigi Sambuco (Alfa Romeo 155), with an unexpected exploit. The A group enjoyed the performance of Giorgio De Tisi (Citroën Xara Wrc, the same car which he will use in the San Martino rally), with an 18th time, 10’54”57, which he could have improved with a correct entrance on the last bend. 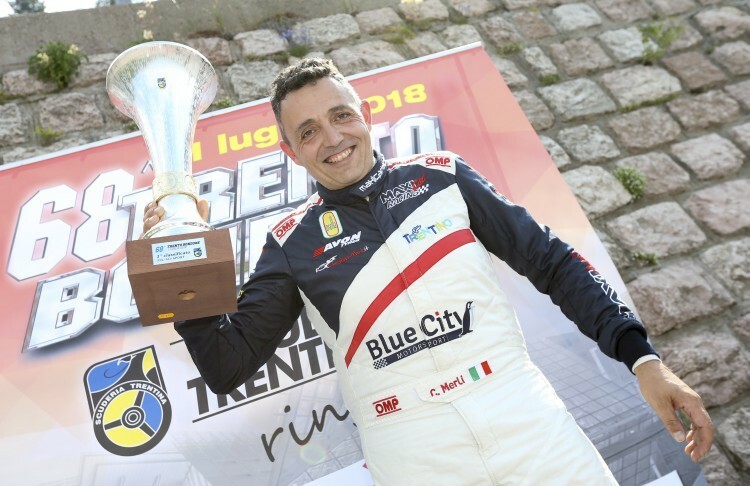 De Tisi comes from Trentino, as well as other drivers in the final positions (among the 2nd and the 5th position): Tiziano Nones (Peugeot 206 wrc), 13 second far from the driver from Besenello, Maurizio Pioner (Mitsubishi Lancer Evo VI), Diego Degasperi (Peugeot 207 with “just” 2000 cc) and Pio Nicolini (Skoda Fabia). The N group exalts for the nth time Rudi Bicciato (Mitsubishi Lancer Evo XIX), with a 14”67 detachment from Roberto Chiavaroli (Mitsubishi Lancer Evo IX), who suffered for his decision of trying new tyres on during the second part of the race. Third position for Gabriella Pedroni (Mitsubishi Lancer Evo VI) from Trentino, who also won the female competition, followed by Serena Fogarolli and Elena Croce. The under-25 group recorded the victory of Gianluca Degiacomi (Formula Gloria Cp8), followed by Brus (Ghipard). Historical cars recorded the amazing result of Petr Vondrak, driving in less than eleven minutes a F-2 car (March 752 BMW F2): no competition in this case. Mauro Nesti had technical problems both during practice and race, then Martin Vondrak was not able to beat Vondrak in spite of the good results of the previous day. Great performance by Pietro Zumerle (Porsche 911 Sc) from Verona. Lino Vardanega (BMW M3) enjoys his twenty-first participation to the Trento – Bondone, with a second position among E3 (former expired homologation), just 30 seconds after Andrea Biasiotto (BMW M3). Third position for Andrea Lombardi (BMW M3 3200).